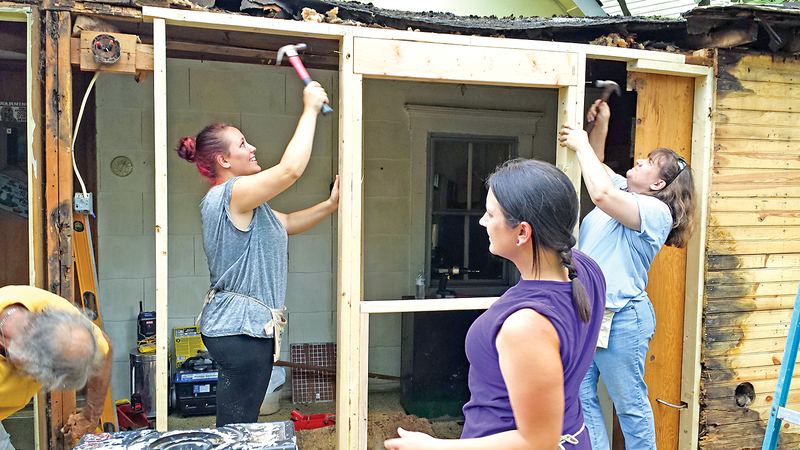 Habitat for Humanity of Bucks County - Times Publishing Newspapers, Inc.
Habitat’s Homeownership Program provides affordable homeownership for low-income individuals and families. Since 1990 Habitat Bucks has partnered with 109 households in Bucks County for homeownership! They don’t give homes away – partner families purchase their homes with affordable mortgages. Homebuyers already live or work in Bucks County, meet program requirements and contribute a minimum of 200 hours in building their homes. Contact Stefanie Clark at s.clark@habitatbucks.org or 215.822.2812 x307. The Home Repair Program of Habitat Bucks partners with low-income homeowners to make homes safe, accessible and preserved. Typical repairs are handicap ramps and railings; landscaping to improve drainage or safety; repairs of doors, windows, porches, and siding; grab bars; improved lighting; accessible outlets and switches; and minor kitchen or bath modifications. Homeowners pay only a portion of the cost of materials and subcontractors based on the homeowner’s income, and zero interest loans are available. Contact Karen Reever at k.reever@habitatbucks.org or 215.822.2812 x304. Habitat Bucks’ ReStores sell quality, used and surplus building material and home items at a fraction of normal prices. Materials have been donated from building supply stores, contractors, demolition crews and individuals who wish to show their support for Habitat Bucks! The ReStore helps the environment by rechanneling usable materials into new uses. Available items include: doors, windows, tools, cabinets, lighting, plumbing fixtures, furniture and much more! ReStore Chalfont, 31 Oak Avenue, is open Tuesdays through Saturdays, 9:00am to 5:00pm. ReStore Langhorne, 1337 E. Lincoln Highway, is open Tuesdays through Saturdays, 10:00am to 6:00pm. For “Free Pick-up/Large Item” fill out the form at http://habitatbucks.org/restore/ or call 215.822.2708. Volunteer with Habitat: Habitat has volunteer opportunities for youth, adults, seniors, clubs, and teams. You can volunteer one time or become a regular part of one of our awesome teams. You don’t have to swing a hammer or lift heavy items to help…but we offer that too. Last year 1,400 volunteers gave 26,000 hours in support of Habitat’s mission. 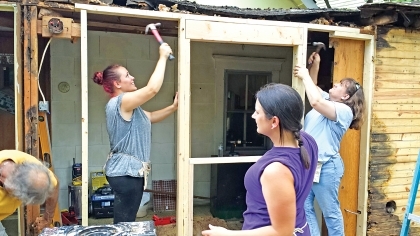 Contact: volunteer@habitatbucks.org. Learn more by visiting www.habitatbucks.org.